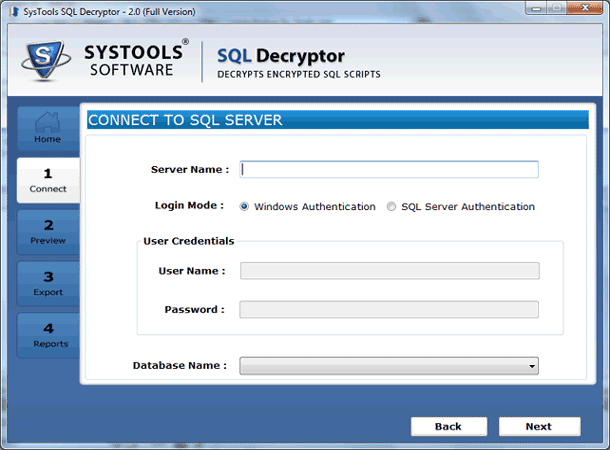 With the introduction of transparent data encryption (TDE) in SQL Server, users now have the choice to choose SQL Decryptor Software which is one of the best way to remove encryption from SQL Server database. 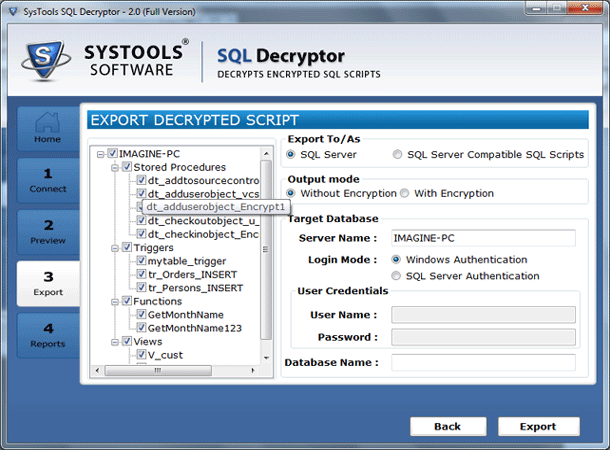 It enables you to reduce time and money spent on restoring lost source code to encrypted SQL objects. It is the leading tool that helps SQL users to get the encrypted data converted to decrypted database in the SQL Server. 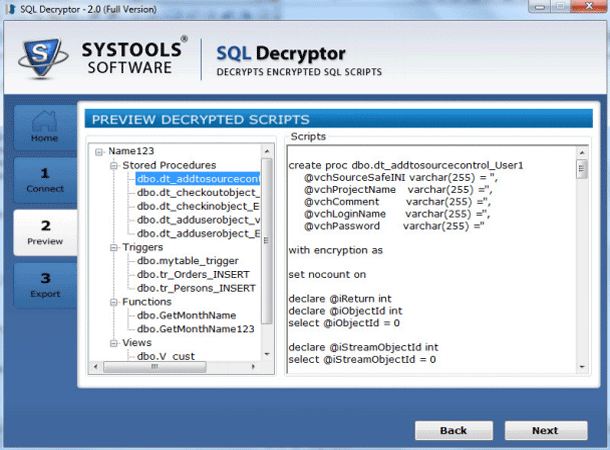 SQL users can also decrypt SQL Server 2008 r2 stored procedure using MS SQL decrypt stored procedure utility. 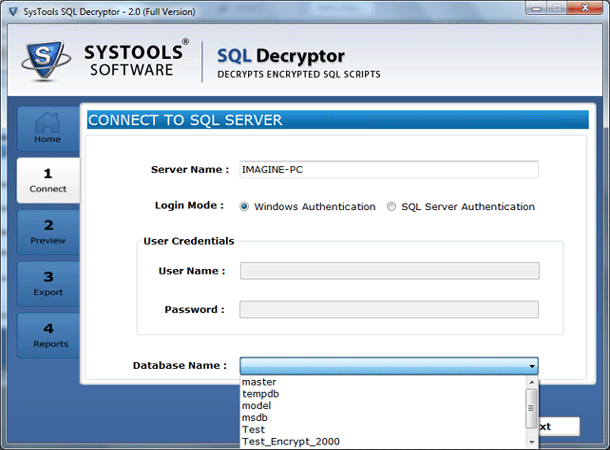 Preview of SQL Decryptor Software will be displayed on your screen. 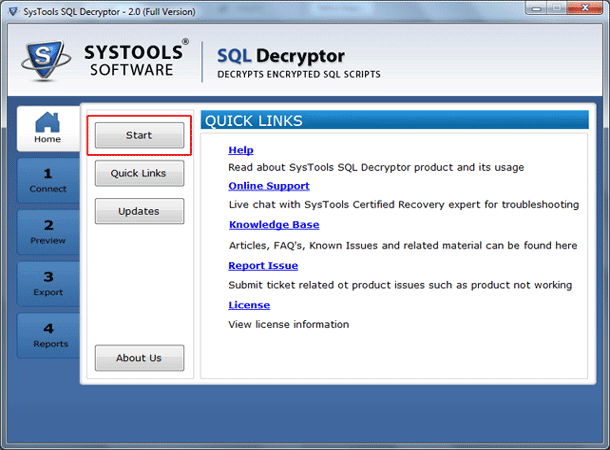 Decryption process can be started by just click on "Get Started" button. A Connect page will be displayed. Click on "Next" button, Preview page will be displayed that shows only the encrypted object names. You can just click on the object name and see the decrypted text in the text box as follows.